Nature presents us with few mysteries more tantalizing than the concept of “time.” Youngsters, today, might not think the subject worthy of much rumination: After all, one’s personal iPhone can conveniently provide the exact time at any location on our planet. What are the fundamental units in nature used to express time? More simply, what constitutes one second of time? How is one second determined? How can we “accurately” measure time using the units chosen to express it? The simple answers for those so inclined might be: We measure time in units of seconds, minutes, hours, and days, etc., and we have designed carefully constructed and calibrated clocks to measure time! That was easy, wasn’t it? The bad news: Dealing with the concept of time is not quite that simple. The good news: The fascinating surprises and insights gained from taking a closer, yet still cursory, look at “time” are well worth the effort to do so. To do the subject justice requires far more than a simple blog post – scholarly books, in fact – but my intent, here, is to illustrate how fascinating the concept of time truly is. For us humans the rising and setting of the sun – the cycle of day and night is a “something” that happens, repeats itself, and profoundly effects our existence. It is that very cycle which formed our first concept of time. The time required for the earth to make one full revolution on its axis is but one of many repeating natural phenomena, and it was, from the beginning of man’s existence, uniquely qualified to serve as the arbitrary definition of time measurement. Other repeatable natural phenomena could have anchored our definition of time: For instance, the almost constant period of the earth’s rotation around the sun (our year) or certain electron- jump vibrations at the atomic level could have been chosen except that such technology was unknown and unthinkable to ancient man. In fact, today’s universally accepted time standard utilizes a second defined by the extraordinarily stable and repeatable electron jumps within Cesium 133 atoms – the so-called atomic clock which has replaced the daily rotation of the earth as the prime determinant of the second. Why use atomic clocks instead of the earth’s rotation period to define the second? Because the earth’s rotational period varies from month to month due to the shape of our planet’s orbit around the sun. Its period also changes over many centuries as the earth’s axis “precesses” (a slowly rotating change of direction) relative to the starry firmament, all around. By contrast, atomic clocks are extremely regular in their behavior. Timekeepers on My Desk: From Drizzling Sand to Atomic Clocks! I have on my desk two time-keepers which illustrate the startling improvement in time-keeping over the centuries. One is the venerable hour-glass: Tip it over and the sand takes roughly thirty minutes (in mine) to drizzle from top chamber to bottom. The other timekeeper is one of the first radio-controlled clocks readily available – the German-built Junghans Mega which I purchased in 1999. It features an analog display (clock-hands, not digital display) based on a very accurate internal quartz electronic heartbeat: The oscillations of its tiny quartz-crystal resonator. Even the quartz oscillator may stray from absolute accuracy by as much as 0.3 seconds per day in contrast to the incredible regularity of the cesium atomic clocks which now define the international second as 9,192,631,770 atomic “vibrations” of cesium 133 atoms – an incredibly stable natural phenomena. The Junghans Mega uses its internal radio capability to automatically tune in every evening at 11 pm to the atomic clocks operating in Fort Collins, Colorado. Precise time-sync signals broadcast from there are utilized to “reset” the Mega to the precise time each evening at eleven. I love this beautifully rendered German clock which operates all year on one tiny AA battery and requires almost nothing from the operator in return for continuously accurate time and date information. Change the battery once each year and its hands will spin to 12:00 and sit there until the next radio query to Colorado. At that point, the hands will spin to the exact second of time for your world time zone, and off it goes….so beautiful! Is Having Accurate Time So Important? You Bet Your Life…and Many Did! Yes, keeping accurate time is far more important than not arriving late for your doctor’s appointment! The fleets of navies and the world of seagoing commerce require accurate time…on so many different levels. In 1714, the British Admiralty offered the then-huge sum of 20,000 pounds to anyone who could concoct a practical way to measure longitude at sea. That so-called Longitude Act was inspired by a great national tragedy involving the Royal Navy. On October 22, 1707, a fleet of ships was returning home after a sojourn at sea. Despite intense fog, the flagship’s navigators assured Admiral Sir Cloudisley Shovell that the fleet was well clear of the treacherous Scilly Islands, some twenty miles off the southwest coast of England. Such was not the case, however, and the admiral’s flagship, Association, struck the shoals first, quickly sinking followed by three other vessels. Two thousand lives were lost in the churning waters that day. Of those who went down, only two managed to wash ashore alive. One was Sir Cloudesley Shovell. As an interesting aside, the story has it that a woman combing the beach happened across the barely alive admiral, noticed the huge emerald ring on his finger, and promptly lifted it, finishing him off in the process. She confessed the deed some thirty years later, offering the ring as proof. The inability of seafarers to navigate safely by determining their exact location at sea was of great concern to sea powers like England who had a great investment in both their fleet of fighting ships and their commerce shipping. A ship’s latitude could be quite accurately determined on clear days by “shooting” the height of the sun above the horizon using a sextant, but its longitude position was only an educated guess. The solution to the problem of determining longitude-at-sea materialized in the form of an extremely accurate timepiece carried aboard ship and commonly known ever since as a “chronometer.” Using such a steady, accurate time-keeper, longitude could be calculated. For the details, I recommend Dava Sobel’s book titled “Longitude.” The later, well-illustrated version is the one to read. In her book, the author relates the wonderfully improbable story of an English country carpenter who parlayed his initial efforts building large wooden clocks into developing the world’s first chronometer timepiece accurate enough to solve the “longitude problem.” After frustrating decades of dedicated effort pursuing both the technical challenge and the still-to-be-claimed prize money, John Harrison was finally able to collect the 20,000 pound admiralty award. Although the traditional cuckoo clock from the Black Forest of Germany does not quite qualify as a maritime chronometer, its pendulum principle plays an historical role in the overall story of time and time-keeping. With a cuckoo clock or any pendulum clock, the ticking rate is dependent only on the effective length of the pendulum, and not its weight or construction. If a cuckoo clock runs too fast, one must lower the typical wood-carved leaf cluster on the pendulum shaft to increase the pendulum period and slow the clock-rate. No less illustrious a name than Galileo Galilei was the first to propose the possibilities of the pendulum clock in the early 1600’s. Indeed, Galileo was the first to understand pendulum motion and, with an assistant late in life, produced a sketch of a possible pendulum clock. A few decades later, in 1658, the great French scientist, Christian Huygens, wrote his milestone book of science and mathematics, Horologium Oscillatorium, in which he presented a detailed mathematical treatment of pendulum motion-physics. By 1673, Huygens had constructed the first pendulum clock following the principles set forth in his book. In 1669, a very notable scientific paper appeared in the seminal English journal of science, The Philosophical Transactions of the Royal Society. That paper was the first English translation of a treatise originally published by Christian Huygens in 1665. In his paper, Huygens presents “Instructions concerning the use of pendulum-watches for finding the longitude at sea, together with a journal of a method for such watches.” The paper outlines a timekeeping method using the “equation of time” (which quantifies the monthly variations of the earth’s rotational period) and capitalizes on the potential accuracy of his proposed pendulum timekeeper. The year 1669 in which Huygens’ paper on finding the longitude-at-sea appeared in The Philosophical Transactions preceded by thirty-eight years the disastrous navigational tragedy of the British fleet and Sir Cloudesley Shovell in 1707. The Longitude Act of 1714 specified that less than two minutes of deviation from true time is required over a six-week sea voyage to permit a longitude determination to within one-half degree of true longitude (35 miles at the equator). Lost time, revenue, and human lives were the price to be paid for excessive timekeeper inaccuracies. Albert Einstein revolutionized physics in 1905 with his special theory of relativity. Contrary to the assumptions of Isaac Newton, relativity dictates that there is no absolute flow of time in the universe – no master clock, as it were. An experiment will demonstrate what this implies: Two identical cesium 133 atomic clocks (the time-standard which defines the “second”) will run in virtual synchronization when sitting side by side in a lab. We would expect that to be true. If we take one of the two and launch it in an orbital space vehicle which then circles the earth at 18,000 miles per hour, from our vantage point on earth, we would observe that the orbiting clock now runs slightly slower than its identical twin still residing in our lab, here on earth. Indeed, upon returning to earth and the lab after some period of time spent in orbit, the elapsed time registered by the returning clock will be less than that of its twin which stayed put on earth even though its run-rate again matches its stationary twin! In case you are wondering, this experiment has indeed been tried many times. Unerringly, the results of such tests support Einstein’s contention that clocks moving with respect to an observer “at rest” will always run slower (as recorded by the observer) than they would were they not moving relative to the observer. Since the constant speed of light is 186,000 miles per second based on the dictates of relativity, the tiny time dilation which an orbital speed of 18,000 miles per hour would produce could only be observed using such an incredibly stable, high resolution time-source as an atomic clock. If two identical clocks passed each other traveling at one-third the speed of light, the “other” clock would seem to have slowed by 4.6%. At one-tenth the speed of light, the “other” clock slows by only 0.5%. This phenomena of slowing clocks applies to any timekeeper – from atomic clocks to hourglasses. Accordingly, the effect is not related to any construction aspects of timekeepers, only to our limitation “to observe” imposed by the non-infinite, constant speed of light dictated by relativity. For most practical systems that we deal with, here on earth, relative velocities between systems are peanuts compared to the speed of light and the relativistic effects, although always present, are so small as to be insignificant, usually undetectable. There are important exceptions, however, and one of the most important involves the GPS (Global Positioning System). Another exception involves particle accelerators used by physicists. The GPS system uses earth-orbiting satellites traveling at a tiny fraction of the speed of light relative to the earth’s surface. In a curious demonstration of mathematical déjà vu when recalling the problem of finding the longitude-at-sea, even tiny variations in the timing signals sent between the satellites and earth can cause our position information here on earth to off by many miles. With such precise GPS timing requirements, the relativistic effect of time dilation on orbiting clocks – we are talking tiny fractions of a second! – would be enough to cause position location errors of many miles! For this reason, relativity IS and must be taken into account in order for the GPS system to be of any practical use whatsoever! Is it not ironic that, as in the longitude-at-sea problem three centuries ago, accurate time plays such a crucial role in today’s satellite-based GPS location systems? I hope this post has succeeded in my attempt to convey to you, the reader, the wonderful mysteries and importance of that elusive notion that we call time. Finally, as we have all experienced throughout our lives, time is short and…. In the year 1900, two critical questions haunted physicists, and both involved that elusive entity, light. The ultimate answers to these troublesome questions materialized during the dawn of the twentieth century and resulted in the most recent two of the four major upheavals in the history of physics. Albert Einstein was responsible for the third of those four upheavals in the form of his theory of special relativity which he published in 1905. Einstein’s revolutionary theory was his response to one of those two critical questions facing physics in the year 1900. A German scientist named Max Planck addressed the second critical question while igniting the fourth great upheaval in the history of physics. Max Planck began his Nobel Prize-winning investigation into the nature of heat/light radiation in the year 1894. His later discovery of the quantized nature of such radiation gave birth to the new realm of quantum physics which, in turn, led to a new picture of the atom and its behavior. Planck’s work directly addressed the second critical question nagging science in 1900. The aftermath of his findings ultimately changed physics and man’s view of physical reality, forever. What were the two nagging problems in physics in 1900? By 1865, the great Scottish physicist, James Clerk Maxwell, had deduced that light, indeed, acted as an electromagnetic wave traveling at a speed of roughly 186,000 miles per second! Maxwell’s groundbreaking establishment of an all-encompassing electromagnetic theory represents the second of the four major historical revolutions in physics of which we speak. Ironically, this second great advance in the history of physics with its theoretically established speed of light led directly to the first of the two nagging issues facing physics in 1900. To understand that dilemma, a bit of easily digestible background is in order! Maxwell began by determining that visible light is merely a small slice of the greater electromagnetic wave frequency spectrum which, today, includes radio waves at the low frequency end and x-rays at the high frequency end. Although the speed of light (thus all electromagnetic waves) had been determined fairly accurately by experiments made by others prior to 1865, Maxwell’s ability to theoretically predict the speed of light through space using the mathematics of his new science of electrodynamics was a tribute to his supreme command of physics and mathematics. The existence of Maxwell’s purely theoretical (at that time) electromagnetic waves was verified in 1887 via laboratory experiment conducted by the German scientist, Heinrich Hertz. The first of the two quandaries on physicist’s minds in 1900 had been brewing during the latter part of the nineteenth century as physicists struggled to define the “medium” through which Maxwell’s electromagnetic waves of light propagated across seemingly empty space. Visualize a small pebble dropped into a still pond: Its entry into the water causes waves, or ripples, to propagate circularly from the point of disturbance. These “waves” of water represent mechanical energy being propagated across the water. Light is also a wave, but it propagates through space and carries electromagnetic energy. Here is the key question which arose from Maxwell’s work and so roiled physics: What is the nature of the medium in presumably “empty space” which supports electromagnetic wave propagation…and can we detect it? Water is the obvious medium for transmitting the mechanical energy waves created by a pebble dropped into it. Air is the medium which is necessary to propagate mechanical sound-pressure waves to our ears – no air, no sound! Yet light waves travel readily through “empty space” and vacuums! “Dealing with it” was easier said than done, because one huge problem remained. Maxwell and his four famous “Maxwell’s equations” which form the framework for all electromagnetic phenomena calculate one and only ONE value for the speed of light – everywhere, for all observers in the universe. One single value for the speed of light would have worked for describing its propagation speed relative to an “ether sea,” but there is no detectable ether sea! In the absence of an ether sea through which to measure the speed of light as derived by Maxwell, here is the problem which results, as illustrated by two distant observers, A and B, who are rapidly traveling toward each other at half the speed of light: How can a single, consistent value for the speed of light apply both to the light measured by observer A as it leaves his flashlight (pointed directly at observer B) and observer B who will measure the incoming speed of the very same light beam as he receives it? Maxwell’s equations imply that each observer must measure the same beam of light at 186,000 miles per second, measured with respect to themselves and their surroundings – no matter what the relative speed between the two observers. This made no sense and represented a very big problem for physicists! As already mentioned, the solution to this “ether dilemma” involving the speed of light was provided by Albert Einstein in his 1905 theory of special relativity – the third great revolution in physics. Special relativity completely revamped the widely accepted but untenable notions of absolute space and absolute time – holdovers from Newtonian physics – and time and space are the underpinnings of any notion/definition of “speed.” Einstein showed that a strange universe of slowing clocks and shrinking yardsticks is required to accommodate the constant speed of light for all observers regardless of their relative motion to each other. Einstein declared the constant speed of light for all observers to be a new, inviolable law of physics. Furthermore, he proved that nothing can travel faster than the speed of light. The constant speed of light for all observers coupled with Einstein’s insistence that there is no way to measure one’s position or speed/velocity through empty space are the two notions which anchor special relativity and all its startling ramifications. The second nagging question facing the physics community in 1900 involved the spectral nature of radiation emanating from a so-called black-body radiator as it is heated to higher and higher temperatures. Objects that are increasingly made hotter emanate light whose colors change from predominately red to orange to white to a bluish color as the temperature rises. A big problem in 1900 was this: There is little experimental evidence indicating large levels of ultraviolet radiation produced at high temperatures – a situation completely contrary to the theoretical predictions of physics based on our scientific knowledge in the year 1900. Physics at that time predicted a so-called “ultraviolet catastrophe” at high temperatures generating huge levels of ultraviolet radiation – enough to damage the eyes with any significant exposure. 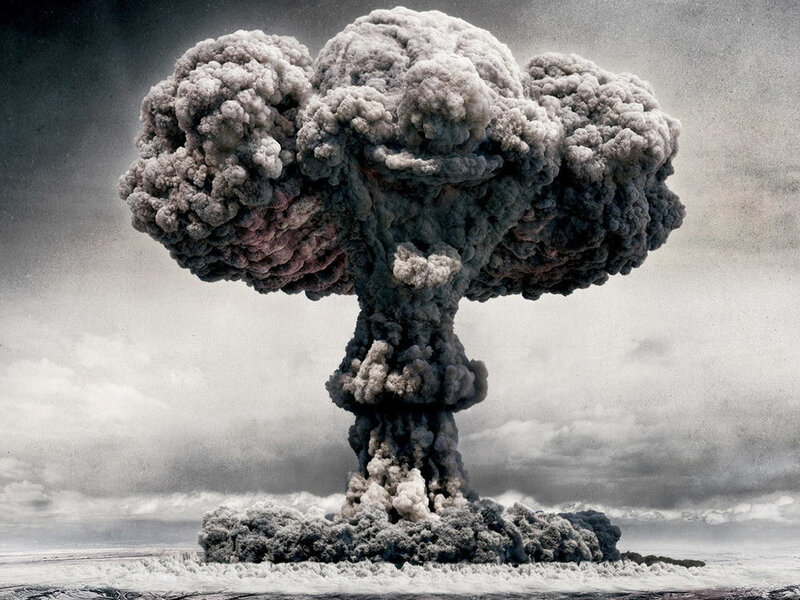 The fact that there was no evidence of such levels of ultraviolet radiation was, in itself, a catastrophe for physics because it called into serious question our knowledge and assumptions of the atomic/molecular realm. The German physicist, Max Planck, began tackling the so-called “ultraviolet catastrophe” disconnect as early as 1894. Using the experimental data available to him, Planck attempted to discern a new theory of spectral radiation for heated bodies which would match the observed results. Planck worked diligently on the problem but could not find a solution by working along conventional lines. Finally, he explored an extremely radical approach – a technique which reflected his desperation. The resulting new theory matched the empirical results perfectly! When Planck had completed formulation of his new theory in 1900, he called his son into his study and stated that he had just made a discovery which would change science forever – a rather startling proclamation for a conservative, methodical scientist. Planck’s new theory ultimately proved as revolutionary to physics as was Einstein’s theory of relativity which would come a mere five years later. where “h” is his newly-declared “Planck’s constant” and “Frequency” is the spectral frequency of the radiation being considered. Here is a helpful analogy: The radiation energy from heated bodies was always considered to be continuous – like water flowing through a garden hose. Planck’s new assertion maintained that radiation comes in bundles whose “size” is proportional to the frequency of radiation being considered. Visualize water emanating from a garden hose in distinct bursts rather than a continuous flow! Planck’s new theory of the energy “quanta” was the only way he saw fit to resolve the existing dilemma between theory and experiment. The following chart reveals the empirical spectral nature of black-body radiation at different temperatures. Included is a curve which illustrates the “ultraviolet catastrophe” at 5000 degrees Kelvin predicted by (1900) classical physics. The catastrophe is represented by off-the-chart values of radiation in the “UV” range of short wavelength (high frequency). This chart plots radiated energy (vertical axis) versus radiation wavelength (horizontal axis) plotted for each of three temperatures in degrees K (degrees Kelvin). The wavelength of radiation is inversely proportional to the frequency of radiation. Higher frequency ultraviolet radiation (beyond the purple side of the visible spectrum) is thus portrayed at the left side of the graph (shorter wavelengths). Note the part of the radiation spectrum which consists of frequencies in the visible light range. The purple curve for 5000 degrees Kelvin has a peak radiation “value” in the middle of the visible spectrum and proceeds to zero at higher frequencies (shorter wavelengths). This experimental purple curve is consistent with Planck’s new theory and is drastically different from the black curve on the plot which shows the predicted radiation at 5000 degrees Kelvin using the scientific theories in place prior to 1900 and Planck’s revolutionary findings. Clearly, the high frequency (short wavelength) portion of that curve heads toward infinite radiation energy in the ultraviolet range – a non-plausible possibility. Planck’s simple but revolutionary new radiation law expressed by E = h times Frequency served to perfectly match theory with experiment. One might be tempted to ask why the work of Max Planck is rated so highly relative to Einstein’s theories of relativity which restructured no less than all of our assumptions regarding space and time! Here is the reason in a nutshell: Planck’s discovery led quickly to the subsequent work of Neils Bohr, Rutherford, De Broglie, Schrodinger, Pauli, Heisenberg, Dirac, and others who followed the clues inherent in Planck’s most unusual discovery and built the superstructure of atomic physics as we know it today. Our knowledge of the atom and its constituent particles stems directly from that subsequent work which was born of Planck and his discovery. The puzzling non-presence of the “ultraviolet catastrophe” predicted by pre-1900 physics was duly answered by the ultimate disclosure that the atom itself radiates in discrete manners thus preventing the high ultraviolet content of heated body radiation as predicted by the old, classical theories of physics. Published in the same 1905 volume of the German scientific journal, Annalen Der Physik, as Einstein’s revolutionary theory of special relativity, was his paper on the photoelectric effect. 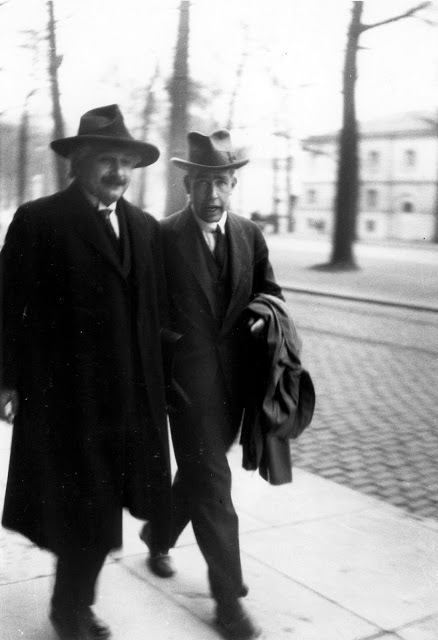 In that paper, Einstein described light’s seeming particle behavior. Electrons were knocked free of their atoms in metal targets by bombarding the targets with light in the form of energy bundles called “photons.” These photons were determined by Einstein to represent light energy at its most basic level – as discrete bundles of light energy. The governing effect which proved revolutionary was the fact that the intensity of light (the number of photons) impinging on the metal target was not the determining factor in their ability to knock electrons free of the target: The frequency of the light source was the governing factor. Increasing the intensity of light had no effect on the liberation of electrons from their metal atoms: The frequency of the light source had a direct and obvious effect. Einstein proved that these photons, these bundles of light energy which acted like bullets for displacing electrons from their metal targets, have discrete energies whose values depend only on the frequency of the light itself. The higher the frequency of the light, the greater is the energy of the photons emitted. As with Planck’s characterization of heat radiation from heated bodies, photon energies involve Planck’s constant and frequency. Einstein’s findings went beyond the quanta energy conceptualizations of Planck by establishing the physical reality of light photons. Planck interpreted his findings on energy quanta as atomic reactions to stimulation as opposed to discrete realities. Einstein’s findings earned him the 1921 Nobel Prize in physics for his paper on the photoelectric effect….and not for his work on relativity! Deja Vu All Over Again: Is Light a Particle or a Wave? Along with Planck, Einstein is considered to be “the father of quantum physics.” The subsequent development by others of quantum mechanics (the methods of dealing with quantum physics) left Einstein sharply skeptical. For one, quantum physics and its principle of particle/wave duality dictates that light behaves both as particle and wave – depending on the experiment conducted. That, in itself, would trouble a physicist like Einstein for whom deterministic (cause and effect) physics was paramount, but there were other, startling ramifications of quantum mechanics which repulsed Einstein. The notion that events in the sub-atomic world could be statistical in nature rather than cause-and-effect left Einstein cold. “God does not play dice with the universe,” was Einstein’s opinion. Others, like the father of atomic theory, Neils Bohr, believed the evidence undeniable that nature is governed at some level by chance. In one of the great ironies of physics, Einstein, one of the two fathers of quantum physics, felt compelled to abandon his brain-child because of philosophical/scientific conflicts within his own psyche. He never completely came to terms with the new science of quantum physics – a situation which left him somewhat outside the greater mainstream of physics in his later years. Like Einstein’s relativity theories, quantum physics has stood the test of time. Quantum mechanics works, and no experiments have ever been conducted to prove the method wrong. Despite the truly mysterious realm of the energy quanta and quantum physics, the science works beautifully. Perhaps Einstein was right: Quantum mechanics, as currently formulated, may work just fine, but it is not the final, complete picture of the sub-atomic world. 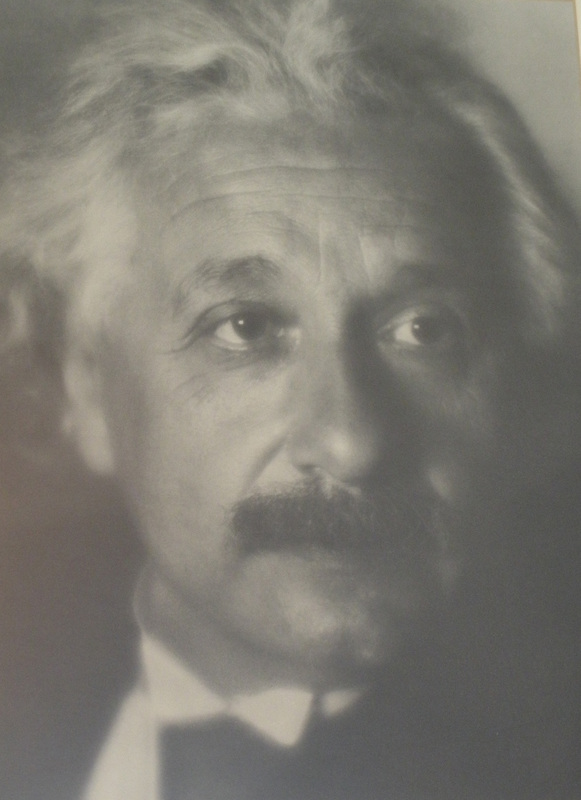 No one could appreciate that possibility in the pursuit of physics more than Einstein. After all, it was his general theory of relativity in 1916 which replaced Isaac Newton’s long-held and supremely useful force-at-a-distance theory of gravity with the more complete and definitive concept of four-dimensional, curved space-time. 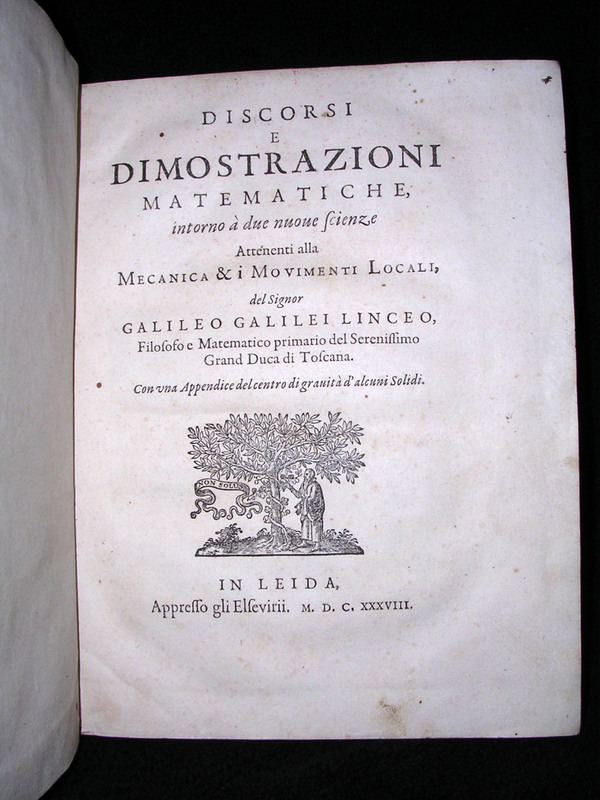 By the way, and in conclusion, it is Newton’s mathematics-based science of dynamics (the science of force and motion) that defines the very first major upheaval in the history of physics – as recorded in his masterwork book from 1687, the Principia – the greatest scientific book ever written. Stay tuned. A recent drive north of San Francisco to Point Reyes National Seashore with its famous Point Reyes lighthouse was enough to stir many emotions. California’s rocky and picturesque northern coastline is reason enough to make the trip, but the lure of its famous lighthouse proves irresistible. 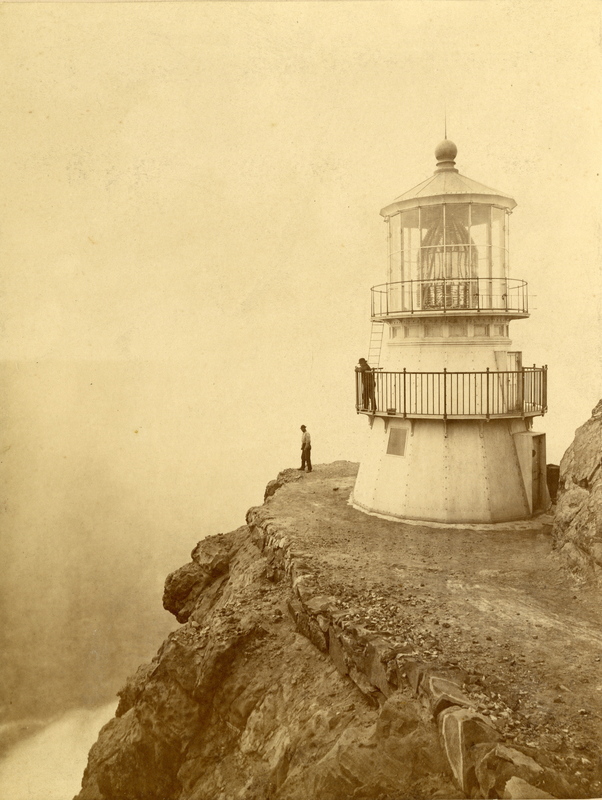 The Point Reyes lighthouse first lit its first-order Fresnel (pronounced fray-nel) light source on December 1, 1870. The oil-lamp used was nestled at the focal point of the 6,000 pound rotating Fresnel lens assembly, and its focused light could be seen all the way to the horizon on clear nights – roughly twenty-four miles out in the ocean. The weight-driven, precision clockwork mechanism which rotates the huge lens assembly once every two minutes sweeps a beam of light past a given point every five seconds, a beam that can be seen three or four times farther out to sea than previous lights – thanks to the revolutionary lens design of the French engineer/scientist Augustin-Jean Fresnel. 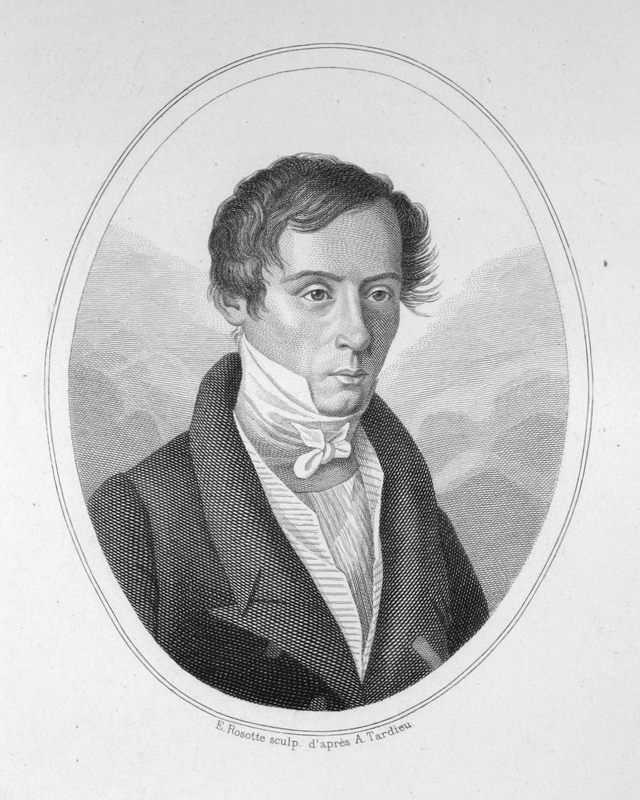 Prior to Fresnel’s published treatise on light diffraction in 1818 and the subsequent appearance of his revolutionary lens design in 1823, lighthouses relied on conventional, inefficient and heavy glass lenses and mirrors to focus light. Fresnel lenses were soon universally adopted for lighthouses based their superior performance. The 6,000 pound first-order Fresnel lens assembly and clockwork drive installed at Point Reyes in 1870 was purchased by the U.S. Government at the great Paris Exposition in 1867. Fresnel lenses are ranked in order of their size (focal distance from internal light source to lens), and range from first-order at approximately 36 inches to just under 6 inches for a sixth-order lens. Point Reyes is renowned as the windiest location on the Pacific Coast and the second foggiest in all of North America. Given those credentials and the treacherous rocky point on which it sits, the Point Reyes lighthouse certainly merited the biggest Fresnel lens obtainable! 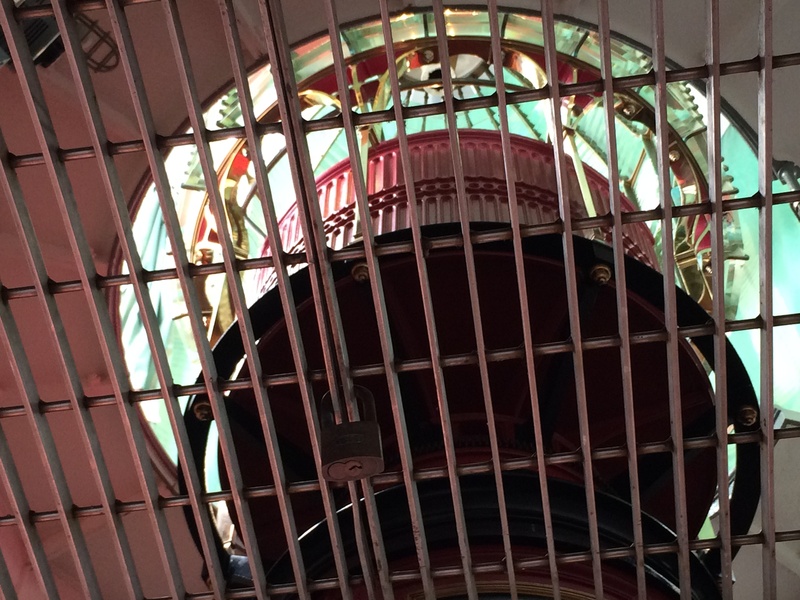 The domed Fresnel lens is clearly visible inside. 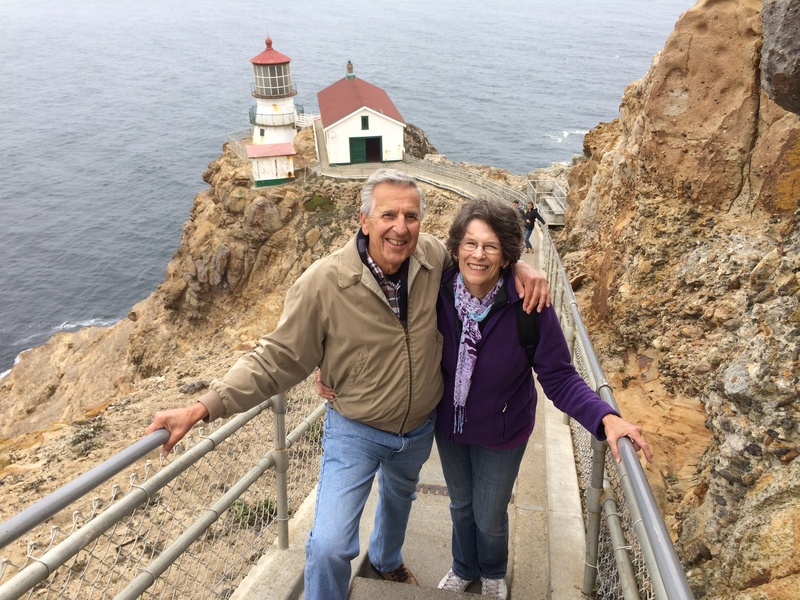 Linda and I were at Point Reyes celebrating our 49th wedding anniversary. Upon arriving at the lighthouse after 22 miles of driving from “town,” we were greeted with the warning that the path down to the lighthouse is comprised of 308 steps – (equivalent to a 13 story building) and that the “faint-of-heart” should not attempt the trip. We looked at each other, smiled, shrugged, and off we went. Though narrow, the cement steps are solid and shallow, so the trip back up was not bad! Folks with fear-of-heights issues are NOT going to enjoy the stairs, however, as the light itself is perched high above the ocean on a treacherous ridge. In the old days, before there were stairs, the light-keeper occasionally had to get down on hands and knees on the rocky trail to complete the trip in howling winds and dense fog. Winds have been clocked higher than 130 mph at Point Reyes! After seeing the site, first-hand, it is easy to imagine just how difficult the light-keeper’s job was in the old days – keeping the light lit and the weight-driven clockwork running 24/7. The gravity-powered mechanism required “rewinding” every 2 ½ hours! 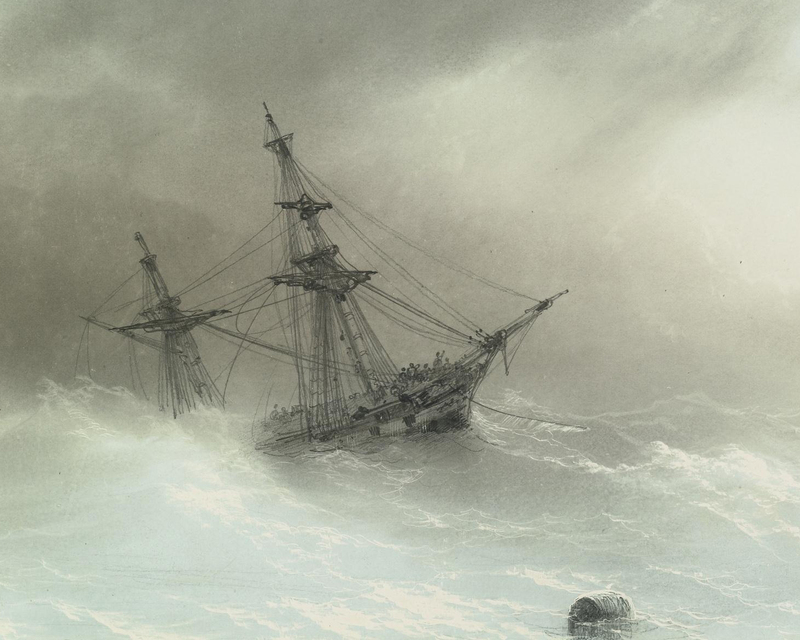 The terror of being “off course” in wild seas along a rugged coastline must have been overwhelming to seafarers. Lighthouses played a significant role in reducing the incidence of shipwreck for more than a century, but today’s GPS satellite navigational aids have all but rendered them superfluous. Among lighthouses that continue to operate today, the light source is a high-tech electric bulb within the lens, not an oil lamp. Many of yesterday’s Fresnel lens assemblies are relegated to static displays in a museum building adjoining the lighthouse in which they served. 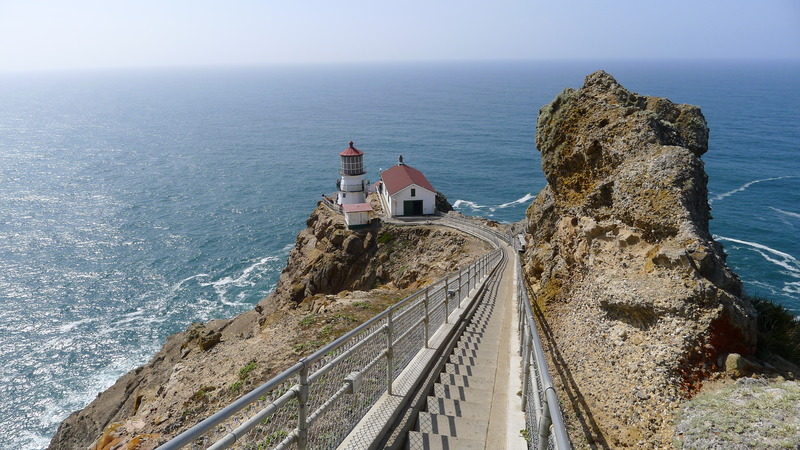 Point Reyes’ light remains in operating condition, still in its original position. The last of its resident “keepers” left Point Reyes in 1985. The lighthouse is now under the jurisdiction of the National Park Service. As for Augustin-Jean Fresnel, the French hero of this scientific/seafaring drama: He died young in 1827 at age 39. Although honored in his day with membership in the prestigious Royal (scientific) Society of London and by its award of the prestigious Rumford Medal in 1824, his name is little known, today, outside of science. Anyone who visits lighthouses is bound to learn of him and his famous lenses, however, and of the importance of his work to both scientific-optics and seafaring. His name is engraved on the Eiffel Tower in Paris together with a long-list of other illustrious Frenchmen. 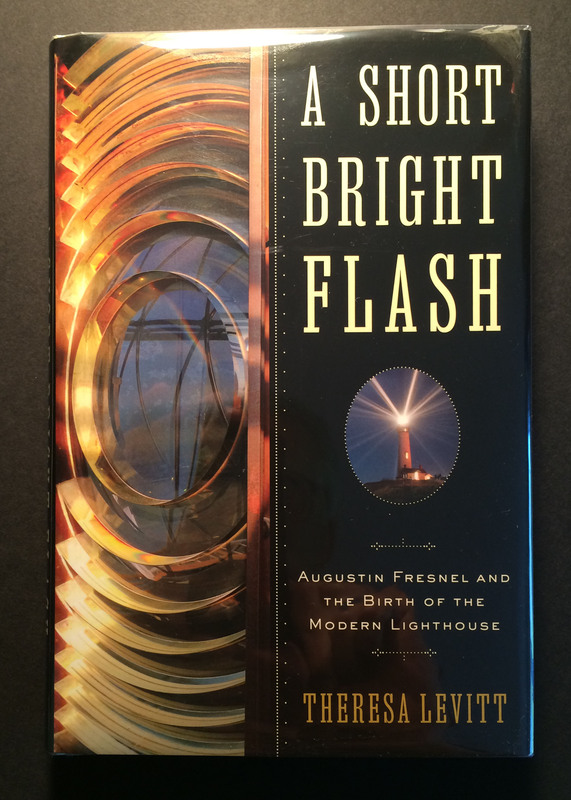 I recommend the recently published book by Theresa Levitt on the history of the modern lighthouse and Augustin-Jean Fresnel whose pioneering work on scientific optics and subsequent lens design influenced both science and seafaring. 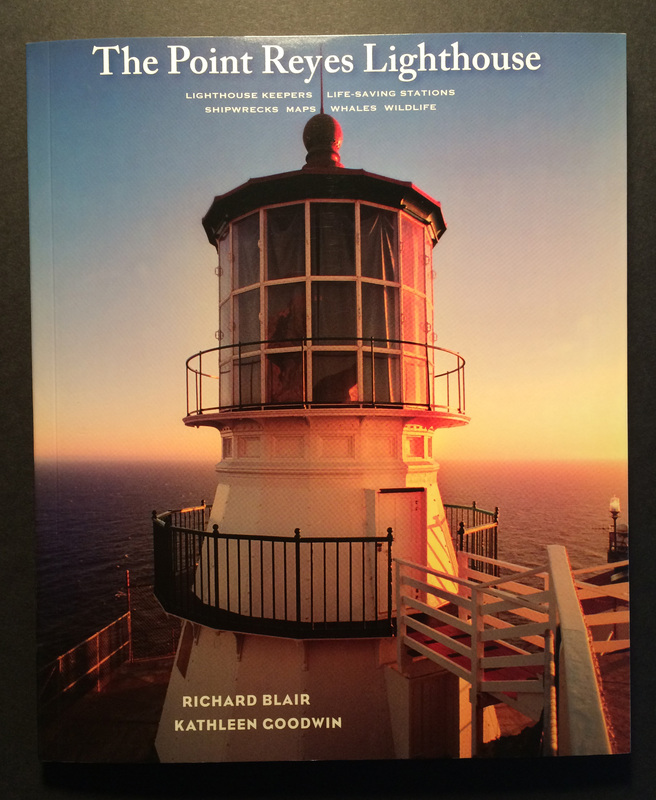 The other book specifically on the Point Reyes Lighthouse is a beautifully rendered historical and photographic treatment of the subject by Richard Blair and Kathleen Goodwin. I was delighted to find this fine book when we were in the town bookstore. I purchased two copies at a very reasonable price! 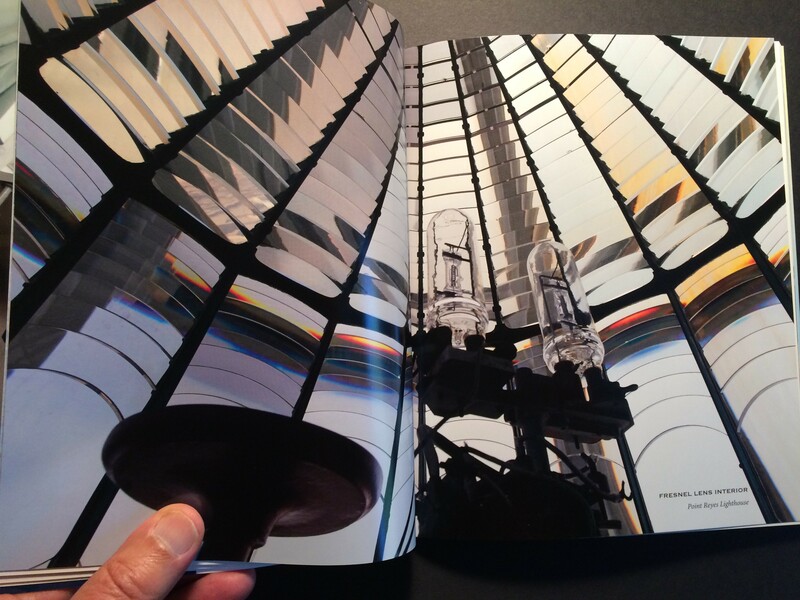 An example of the beautiful photography in my copy of The Point Reyes Lighthouse by Richard Blair and Kathleen Goodwin: The photo shows the interior of the Point Reyes first-order Fresnel lens with the modern electric light source(s) clearly visible. This book is published by Color & Light Editions which specializes in Point Reyes literature and art. Aside from love, one of the great emotions humans can experience is the thrill of discovery and achievement – being the first to reveal more of nature’s immutable laws governing the cosmos or doing something no one else has been able to do. Some aspects of life inevitably go together – a coupling of cause-and-effect, if you will. Sometimes, we simply cannot have one thing without another. The claim that “there is a price to be paid for everything” seems a truism which ably illustrates that contention of coupled cause-and-effect. In that vein, man’s finest intellectual achievements or physical accomplishments materialize only after significant vested effort is expended. Our personal life experiences leave no doubt that hard work is a necessary, though not sufficient, prerequisite for great success…in any venue. We understand that. Not so obvious is the other price often associated with intellectual achievement and intellectual property, a price which is extracted after the fact – the tedious, ongoing, and costly effort required to establish and maintain the legal rights to the intellectual property behind any significant achievement. I call this second price to be paid for success “the indigestion of success” which is often so severe as to result literally in ulcers if not merely pervasive, never-ending discontent. I just finished reading David McCullough’s new book, The Wright Brothers, which relates the incredible story of the two brothers from Dayton, Ohio – bicycle mechanics/salesmen who created the first true “flying machine”…in their spare time! McCullough is a consummate teller of true stories, but the story of these two men tests the line separating fact from fiction because their stunning success seemed so improbable. The truth is, the Wright Brothers “invented” and successfully flew the first full-sized, self-powered, controllable airplane – a staggering accomplishment for two young men with no formal technical credentials. Their ultimate success was rooted in a fascination at the prospect of manned flight coupled with a single-minded, driven determination to do whatever it takes to accomplish their dream of flying. The two brothers constitute the very best examples of self-made men… engineers and flyers, in their case. Their accomplishments are so thoroughly documented as to seem unassailable and safe from thieves who would steal in the courts of patent law, yet it was not quite that simple. It never is. Author McCullough paints a clear picture on his pages of just how technically challenging their task actually was. What also emerges is the sad turn of events their triumph became once the airplane was designed, tested, documented, and patented. 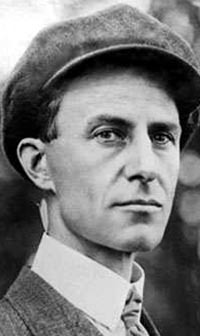 Wilbur Wright, the brilliant engineering mind for whom no technical challenge seemed too large, died early in 1912 at the young age of forty-five years. The official cause of death was typhoid fever, but it seems Wilbur’s spirit was dying for quite some time before his body expired. In May of 1910, the brothers, who did all their own flying from the project’s onset in 1900, went up together in their Wright Flyer for the very first time – some seven years after Orville’s first flight at Kitty Hawk. Their disciplined methodology throughout the project dictated that, should there be an accident, at least one of them should survive to carry on the work. Their flight together that day seemed their tacit acknowledgement that they had completed their life’s dream; all that remained was to form and grow a profitable company which would carry on their work and insure a comfortable livelihood for the brothers and their immediate relatives. 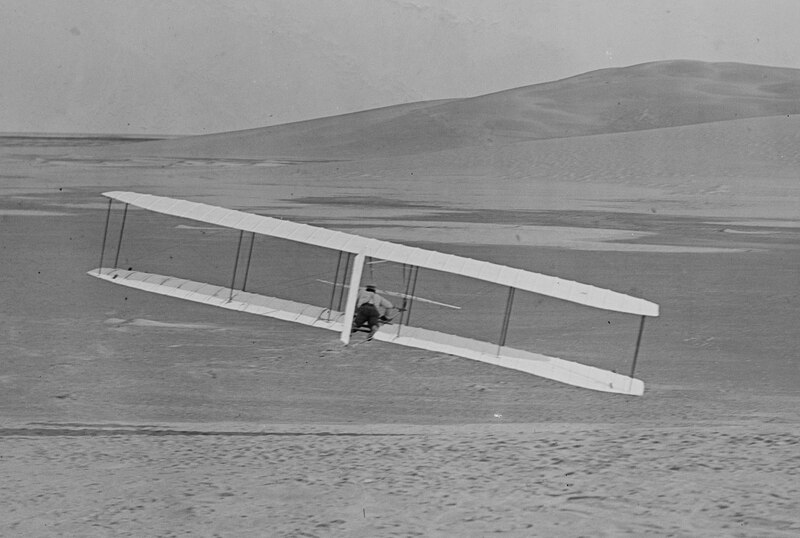 Within several years of Wilbur’s death, Orville Wright had sold the Wright Company to others, preferring a peaceful, retiring life to one spent constantly battling corporate demons and those who would usurp the brothers’ past and future accomplishments. His mission for the remainder of his long life: To represent his brother while defending the less materialistic aspects of the Wright brothers’ legacy. I believe I would have done precisely the same, were I in his shoes. Other notable, historical figures in similar circumstances made sadly different decisions when faced with the indigestion of success and the never-ending need to protect intellectual property. The two examples that follow vividly illustrate just how bad these matters of priority and intellectual property can become, especially for the most-principled of participants. For radio and electrical engineers who know the history, Edwin Howard Armstrong is the tragic hero of early “wireless” and a victim of the radio empire which he helped to create. Howard Armstrong was the quintessential radio engineer’s engineer – bright, motivated, creative…and stubbornly persistent. He exuded personal integrity. The very qualities which made him the greatest inventor/engineer in the history of radio, led to his downfall and suicide in 1954. Howard Armstrong surfaced in 1912 as a senior electrical engineering major at Columbia University with an obsessive interest in the infant science of “wireless” radio. He was a fine student with a probing, independent mind that suffered no fools. In 1912, while living at home in nearby Yonkers, New York, and commuting daily to Columbia on an Indian-brand motorcycle, he invented a way to greatly increase signal amplification using a single De Forest Audion vacuum tube by feeding part of the tube’s marginally amplified output back to the input of the device where it was amplified over and over again. This technique is now known in the trade as “regeneration,” or positive feedback. Along the way, young Armstrong had made great strides in understanding the technology behind Lee De Forest’s recent invention of the Audion tube, insights far beyond those De Forest himself had offered. While tinkering with the idea of signal regeneration in his bedroom laboratory early on the morning of September 22, 1912, he achieved much greater signal amplification from the Audion than was possible without using regeneration. The entire household was abruptly awakened by young Armstrong’s unrestrained excitement over his discovery, and an important discovery it was for the infant science of “wireless radio.” Regeneration was patented by Armstrong in 1913/14 and was used, under license from him, in countless radios during the early years when radio sets with more than one tube were very expensive to produce, due to the high cost of tubes. Armstrong’s 1914 patent on the regenerative receiving circuit – one of the foundations of early wireless radio and a gateway to efficient tube-based radio transmitters, as well. 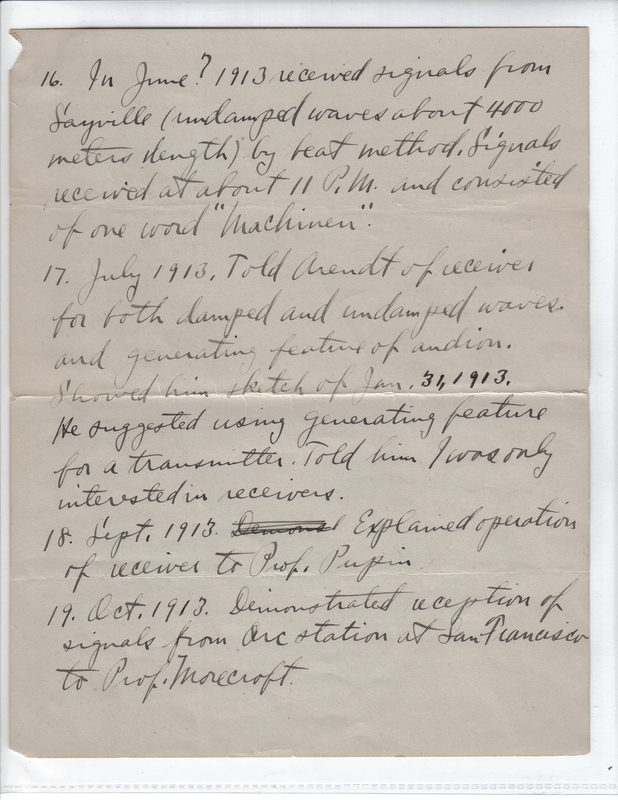 Armstrong’s historic, handwritten chronological account of inventing the regenerative circuit – page one of six; likely written around 1920 to serve as evidence in the litigation with De Forest over Armstrong’s regeneration patent. Note the Sept. 22, 1912 date of his triumph (near the bottom). In 1914, Lee De Forest stepped forward to challenge Armstrong in court over Armstrong’s patent, claiming that he, De Forest, was the legitimate inventor of regeneration. The litigation in the court system over regeneration went back and forth, lasting twenty years and finally ending up in the United States Supreme Court. Shockingly, De Forest was handed the final decision by the court, but the substantial body of radio engineers across the nation in 1934, who were well aware of the “radio art” and its history, were not buying De Forest’s claim. They fully supported Armstrong as the legitimate inventor – the same view held today. The twenty-year patent litigation battle over regeneration was the longest in U.S. patent court history. Unfortunately, that was only the beginning of Armstrong’s troubles with the patent courts and those who would take advantage of his work. Howard Armstrong was one of the last, great, lone-inventor/engineers. He was long affiliated with his alma-mater, Columbia University, and had extensive business/patent dealings with giant corporations, such as RCA and Philco, which drew their life-blood from his inventions and the industry which he helped to create. By licensing his many important patents to these corporations, Armstrong became a very wealthy man. At one time, he was the largest stockholder in the giant RCA Corporation. Despite such wide-spread affiliations, he was, by temperament, an independent thinker in the lone-inventor mold. As radio entered the late nineteen thirties, men-of-action like Armstrong were becoming obsolete, increasingly overrun by corporate bureaucracies and their in-house armies of engineers. Radio was now out of the hands of the lone-inventor, becoming the exclusive domain of the moneyed corporations with influence at the FCC (Federal Communications Commission) in Washington. Armstrong increasingly found himself defending his legitimate patent rights against large corporations which were treading on those rights, battling their great financial resources and their legions of corporate lawyers. As he continued to lose rightful patent royalties to corporate violations of his patents, he stubbornly fought back fueled by his personal principles of fair play, all the while dissipating his once-great financial security to fund the necessary lawyer’s fees. Armstrong was a man of principled integrity; he could have capitulated, retreated, retired comfortably, and lived out his life, but he chose to fight. Ultimately, those ceaseless legal battles wore him down, bankrupted him, and destroyed his long marriage. On May 5, 1954, he stepped from his New York apartment window to his death thirteen stories below. In an ironic sense, he fell victim to the industry and the changing times he helped to create. He also was victimized by the very qualities which made him great: Intellectual independence, principled integrity, and the stubborn will to persevere. There are many lessons to be learned from Howard Armstrong’s life-story. The lone crusader was crushed by the corporate “Goliaths” he helped create. Final postscript: After Armstrong’s death, his estranged wife, Marion, took up her husband’s ongoing patent battles with the Goliaths of the radio industry. She eventually prevailed in every single case! Inventor of the Calculus: Isaac Newton or the German Mathematician, Gottfried Leibniz? 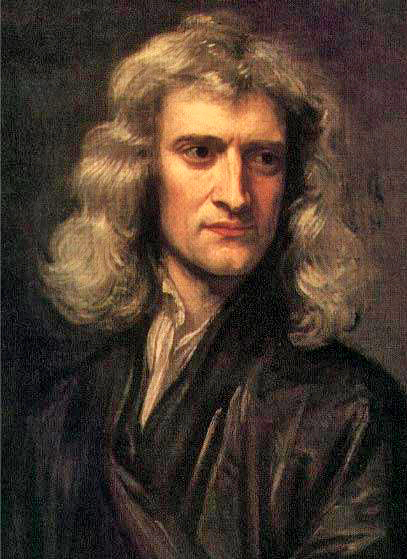 History’s most ardent defender of his intellectual property also happened to be the greatest scientist/mathematician of all time, Sir Isaac Newton. As vindictive as he was brilliant, Newton waged one of history’s most vicious priority battles with Gottfried Leibniz over credit for the development of the calculus, that ubiquitous, indispensable mathematical tool of the engineer and scientist. Newton formulated its fundamentals in 1665/66, the famous “miracle year” spent at his mother’s homestead in isolation from the great plague which swept through England at the time. Newton’s peerless scientific self-discipline tended to completely desert him when challenged by others on matters of intellectual priority which he felt belonged to him. Leibniz and Robert Hooke were two men who famously felt the full force of Newton’s rage in such matters. For Newton and his circumstances, there was no real money at stake – only prestige and ego, and Newton’s ego was well-developed… and sensitive. Today, both Newton and Leibniz are credited with independently developing the calculus – essentially true, although it appears certain that Leibniz had unauthorized access to some of Newton’s early personal papers on the subject. In that sense, Newton is regarded as the “primary” developer of calculus. Leibniz never quite recovered from the savage and telling effects of Newton’s vindictiveness which was well publicized in scientific circles and which reduced the great Newton to unprincipled deceits in his efforts to discredit his rival. In Newton’s mind, much more was at stake than mere money: For him, personal satisfaction and the ego-satisfying prospect of scientific immortality were far more important motivators. In his defense, one could argue that, for Newton, the long-term stakes riding on his efforts to receive due credit for his brilliance were much higher than most. Nevertheless, when all was said and done, Newton’s personal reputation suffered significantly even if his scientific reputation remained unsullied over the dispute with Leibniz. If you were ever in the position of enjoying a significant personal success that had already conferred substantial wealth upon you, yet huge wealth beckons you or whoever else takes the enterprise still further – what would you do? 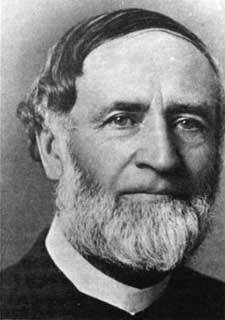 Like Orville did, I would have heeded Bishop Milton Wright’s early admonition to his children (paraphrased here) that greed is bad and leads to grief; be content with sufficient money to sustain a comfortable life and require nothing more beyond that than the normal pleasures of life and living. The Bishop also warned against temper and ego. The Bishop was a very wise man; the brothers received some very informed guidance. Falling Feathers and Pennies: Did You Know This? If you simultaneously release a feather and a penny, side-by-side, which will hit the ground first? If you say, “The penny, of course,” the science of physics has news for you. That is not always true! Inherently, they reach the ground at the same time. Read on to understand why! By the year 1604, Galileo Galilei had deciphered a long-standing mystery of physics: “The law of fall.” Until that time, “natural philosophers,” as scientists were called, had puzzled for centuries over the question: “Precisely how do physical bodies of mass like a feather and a penny fall to earth under the influence of gravity.” It was clear that objects seemed to fall faster the longer they fell – but according to what mathematical principles? 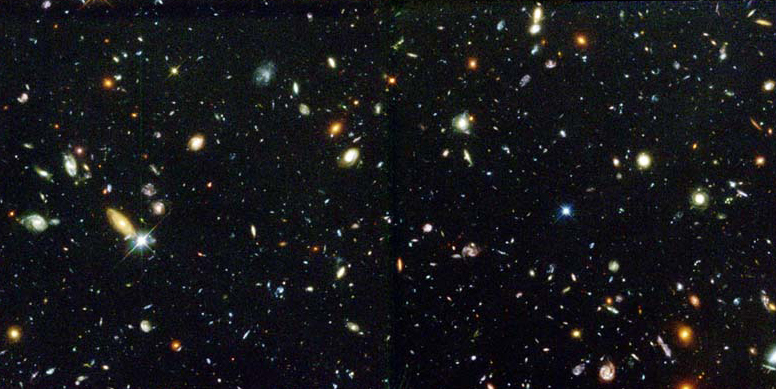 Do heavier objects fall faster than light ones? It would intuitively seem so! Is the instantaneous velocity of a falling object proportional to the distance traversed during fall – or perhaps to the time duration of fall? fixed rate as it falls, irrespective of its weight (mass). With a fixed, equal rate of acceleration as decreed by the law of fall, motion physics tells us that two bodies released from rest will fall side-by-side all the way down. The law also dictates that objects in free-fall reach instantaneous velocities which are proportional to the time duration of fall from a rest condition. For objects here on earth, a falling object adds slightly less than 32.2 feet per second to its velocity for each additional second of fall. The wording of “the law of fall” contains two important implications. First, the key word, “inherently,” implies that the falling body is subject only to a constant force of gravitational attraction. Second, the term “fixed” rate tells us that the acceleration is a fixed numerical value for all bodies of mass… in a given gravitational field. The earth’s gravity is essentially constant over all regions of the globe…at its surface. The moon’s gravitational field is also essentially constant at its surface, but its numerical value is just under one-third that of the earth. A specific body of mass will fall faster here, on earth, than it would on the moon. Note that “mass” denotes the amount of material present in a body, while “weight” denotes the force of gravitational attraction acting on that mass. When you weigh yourself, you are measuring the force of the earth’s gravitational attraction on your mass! Double the mass of a body, and you double its weight in a given gravitational field! Everyday observation tells us that a penny always falls faster than a feather. How, then, do we reconcile our observations with the law of fall and the statement in the opening paragraph of this post? The key to the seeming impasse regarding the falling feather and the penny resides in the word, inherently, as used in the statement of the law of fall which assumes only gravity acting on the object. When objects fall, here on earth, there is an additional force acting on them besides the force of gravity as they fall, and that is the retarding force of air resistance! If our feather and penny experiment is conducted in a tall glass cylinder with all of its air removed, the feather and the penny will fall precisely side-by-side. I witnessed this at the Boston tech museum many years ago. The weight of the feather is much less than that of the penny, and the increasing force of air resistance generated during the fall becomes a much larger percentage of a feather’s weight (gravitational attraction) than in the case of a penny. This fact negates the equal acceleration during fall imposed by the law of fall. Physics has a name for the condition which is the basis for the law of fall: It is called the equivalence of the “gravitational mass” and the “inertial mass” of a body (do not worry if this last comment is confusing to you; a further look into motion physics would quickly make its meaning clear). 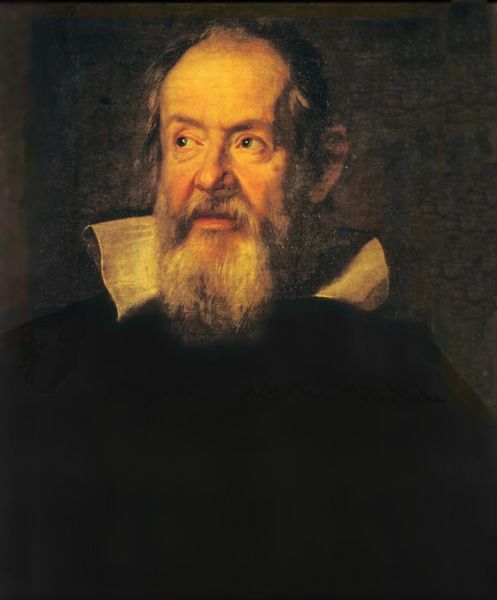 Galileo was the first “modern” physicist. His ability to recognize and isolate the “secondary effect” of air resistance in the matter of falling bodies enabled him to bypass the confusion that our everyday experiences often injected into the early study of pure physics. Isaac Newton carried Galileo’s insights much further in his own, subsequent work on motion physics. Newton’s three laws of motion, which every beginning physics student studies, along with his theory of universal gravitation explain precisely the behavior of falling bodies that we have just examined. One parting comment: Albert Einstein made careful note of the law of fall and the fact that the gravitational mass of an object is precisely equivalent to its inertial mass. Again, it is that latter relationship which dictates that all masses inherently fall with a fixed and equal value of accelerated motion in a given gravitational field. Unlike many fine scientists of the time, Einstein reasoned that the equivalence of gravitational and inertial mass was no coincidence of nature – that something very profound for physics was implied. His persistent curiosity in the matter led him to his theories of relativity which, in 1905 and again in1916, revolutionized all of physics as well as our concept of physical reality. As for Galileo, his formal statement of the law of fall did not occur until the year 1638, four years before his death. Even though he had reached his major conclusions by 1604, it took him that long to firmly claim priority of his findings by publishing his classic book of science, Discourses on Two New Sciences. For much more information on this and other aspects of motion physics, see my book, The Elusive Notion of Motion: The Genius of Kepler, Galileo, Newton, and Einstein. See also, several other posts on Galileo, Newton, and Einstein by clicking on the “Home” page in the blog header and searching the archives using a keyword such as “science” or by going to the “science” categories in the archives. I love a success story built on hunger, determination, and hard work. There are few immigrant stories more evocative than that of a young Serbian sheepherder who arrived in New York in March of 1874. To afford a steerage ticket aboard the ship Westphalia sailing from Hamburg, young Mihajlo Idvorsky Pupin had to sell “my books, my watch, my clothes, including the yellow sheepskin coat and the black sheepskin cap.” He arrived alone at Castle Garden, New York, with the clothes on his back, a red fez cap, a few changes of underwear, and five cents in his pocket. There was no money left to purchase a blanket and mattress for his steerage bunk, and, based on images he had seen of half-naked Indians in New York State, he counted on being warm enough there even without his prized sheepskin coat. He almost froze to death crossing the Atlantic; hugging a warm smokestack on Westphalia’s deck during cold sleepless nights on the ocean was all that saved him. His autobiography, From Immigrant to Inventor, was published by Scribners in 1924 and won the Pulitzer Prize. Over the years, the book has had multiple editions and many printings. My first copy of the book was the 1930 ninth printing of the second (popular) edition. A number of years ago, I purchased the 1924 third reprint of the first edition – a nicer copy, one signed by the author at Princeton (most certainly at the University) in Jan.,1926. 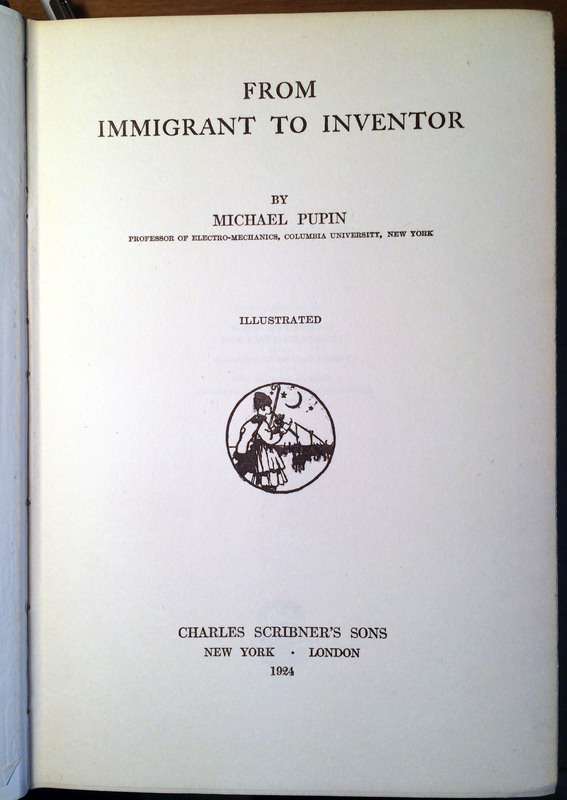 The dream was eerily prescient; by 1914, Pupin was on the faculty of Columbia University in New York, having graduated from there on an academic/athletic scholarship with honors in 1883, nine years after arriving in America. He subsequently earned a PhD in physics at the University of Berlin, studying under Hermann von Helmholtz, one of the finest minds of nineteenth-century physics. Pupin returned to Columbia University in 1899, lecturing in mathematical physics. He was instrumental in forming Columbia’s new department of electrical engineering – a portent of things to come in applied science. In addition to joining the faculty at Columbia University in 1899, Pupin won fame and fortune at the turn of the century by incorporating into telegraph transmission lines what were then called “Pupin coils.” Long transmission lines suffer signal loss and distortion, and Pupin’s implementation of a new idea, originally proposed by Oliver Heaviside, minimized the deleterious effects thus making long-distance lines feasible. This was mother’s milk for the infant technology of telecommunications. The purchase of Pupin’s patent by AT&T insured his fame…and, indeed, his fortune. 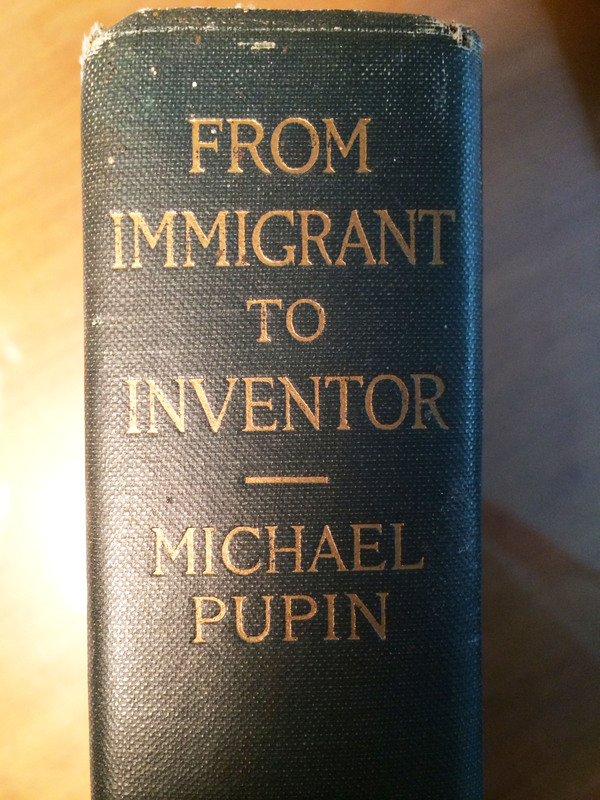 Michael Pupin was a scientific man of extraordinary character, vision, and energy – a romantic poet, too. 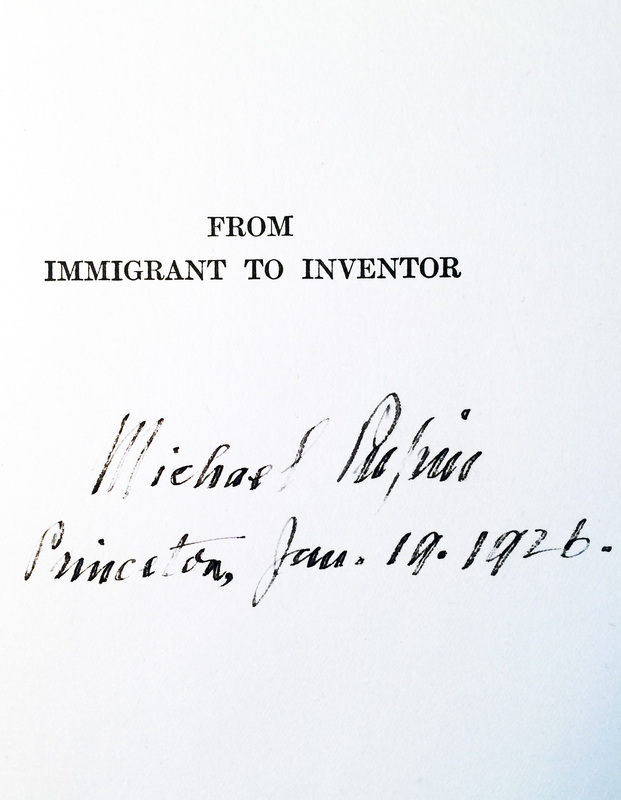 I read From Immigrant to Inventor a number of years ago, and now, as I thumb through the book to refresh my memory for this post, I see I shall need to read it again. Many pearls of wisdom and insight greet my eyes as I scan the book. His thoughts and observations resonate so completely with me. For example, he also maintains that a major catalyst behind any serious study of science and mathematics is humanity’s desire to grasp the eternal “truths” inherent in nature – those natural laws which apply everywhere and always. Their true essence never changes – never becomes “obsolete;” only our incomplete, most recent interpretations of natural law change while being honed to an ever- sharper edge as we cut our way closer and closer to the bone of nature’s ultimate secrets. To know and understand nature’s laws is to grasp a subset of the greater body of eternal “Truth” which so motivates religious endeavors. Pupin rubbed elbows with Presidents Harding and Wilson and accumulated many significant honors during his lifetime. But his story is not defined by the “end game.” His real story is the road traveled, his elevation from penniless immigrant to a man who led such a productive life while influencing so much in twentieth-century America. 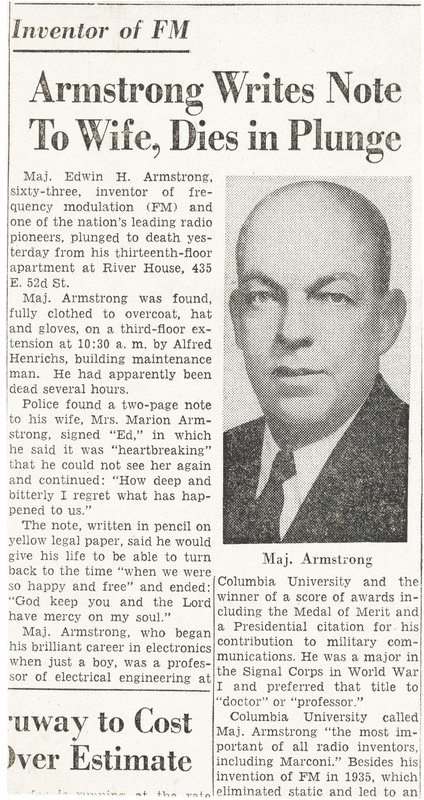 One of his star pupils at Columbia in the electrical engineering department was radio’s greatest engineer/inventor, Edwin Howard Armstrong. 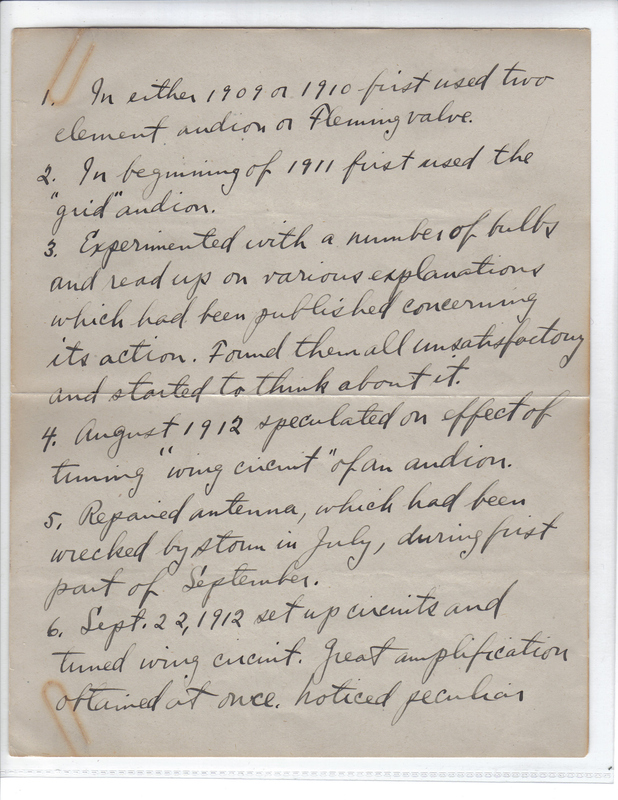 In 1912, as a senior at Columbia, Armstrong made one of the most important discoveries in radio’s long history – the usefulness of signal “regeneration” in radio receivers and in radio transmitters. He undoubtedly was guided somewhat by Pupin’s recent revelations regarding electric “tuning circuits.” The account of Armstrong’s discovery of regeneration – written in his own hand – mentions explaining his new, vastly improved radio receiver to Professor Pupin. For me, this document is a dramatic linkage between two of the most influential people in the history of radio and communications… with Columbia University as the stage-setting. “18. Sept. 1913. Explained operation of receiver to Prof. Pupin. 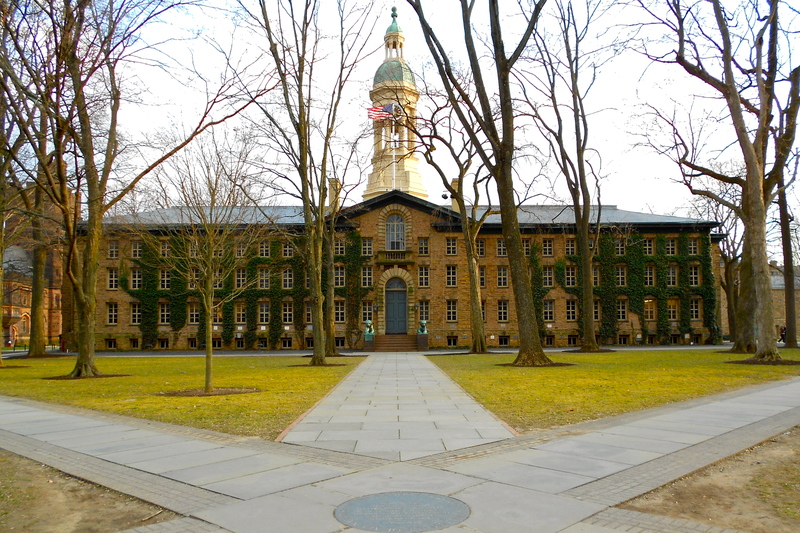 I wonder if that elm tree is still there, in front of Princeton’s Nassau Hall! Postscript: For more on Edwin Howard Armstrong and the history of radio, see the blog archives for my post of Nov. 24, 2013, Radio! The “World In a Box”; How It Came to Be (click on link).